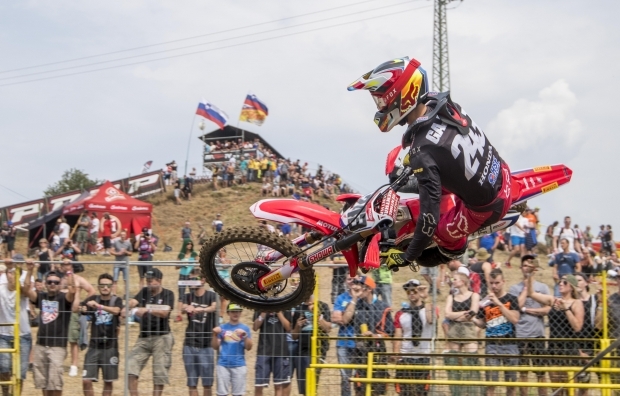 Tim Gajser has scored a brace of third places today in the thirteenth round of the 2018 Motocross World Championship, which was contested at the demanding and technical track of Loket. With third overall in the MXGP of Czech Republic, the 21-year-old Slovenian rider is now only 29 points away… read more. Calvin Vlaanderen has had a stellar race day at Loket as he wrapped up the MXGP of Czech Republic with a second place overall – and third consecutive podium finish – despite a difficult starting position. 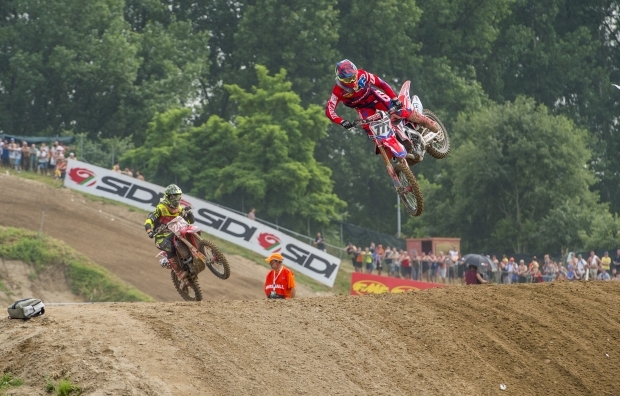 With a win in the first moto, a third place in the second race… read more. 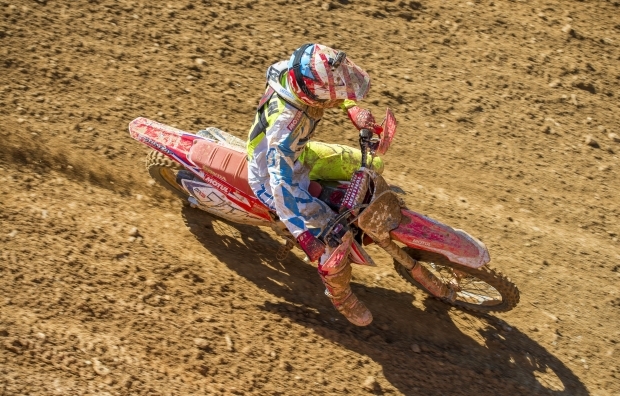 The fourteenth qualifying race of the 2018 MX2 World Championship was not an easy one for Calvin Vlaanderen, who crossed the finishing line in 21st place aboard his Honda CRF250RW machine at Loket. The standard bearer of Team HRC in the quarter-litre class of MXGP crashed out of tenth place… read more. 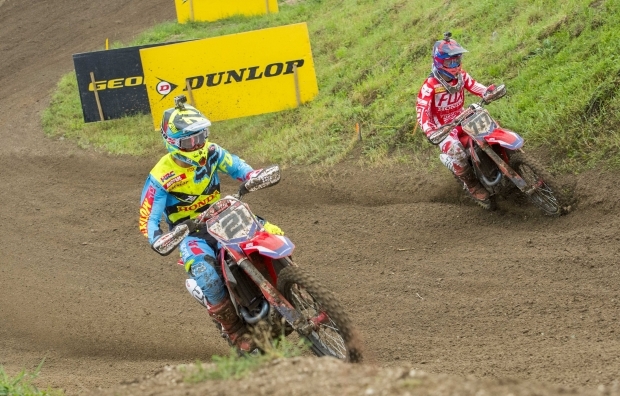 Team HRC’s Tim Gajser has claimed third place at the end of the 14-lap qualifying race for the MXGP of Czech Republic, which is currently underway at the picturesque and tricky Locket motocross track. 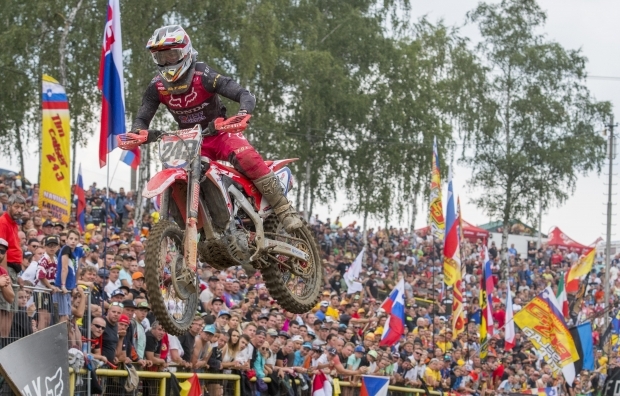 Gajser’s team mate Todd Waters was 17th at the finishing line after starting the moto with… read more. Team HRC has arrived in Loket, Czech Republic, the venue hosting the fourteenth round of the 2018 MXGP World Championship. 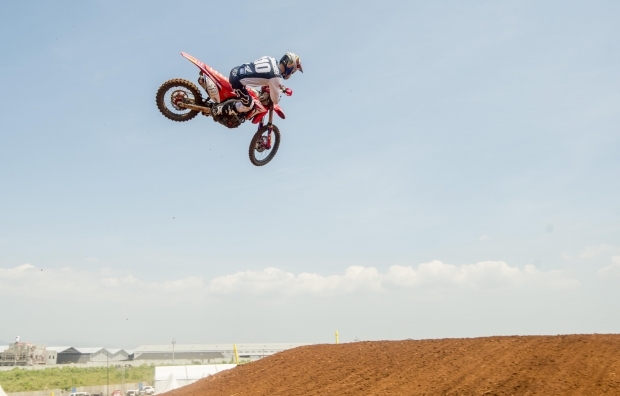 Returning to Europe from two successful back-to-back events in Indonesia, the Milan-based squad now targets more strong results with its riders Tim Gajser, Calvin Vlaanderen (MX2) and Todd Waters. The… read more. Honda Racing Family member; Jed Beaton, made an impressive debut this weekend in his first MX2 race with HRC at the MXGP of Czech Republic. Having not been overly pleased with his qualifying result yesterday and with a better understanding of the MX2 class, Beaton went out today to show… read more. 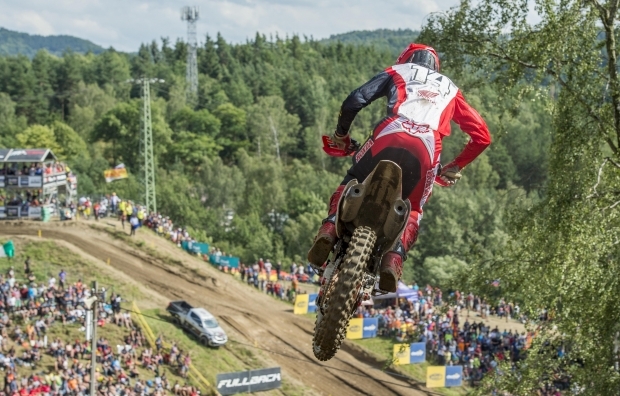 Tim Gajser made a welcome return to the podium today as he took a holeshot and third overall today in Loket at the MXGP of Czech Republic. 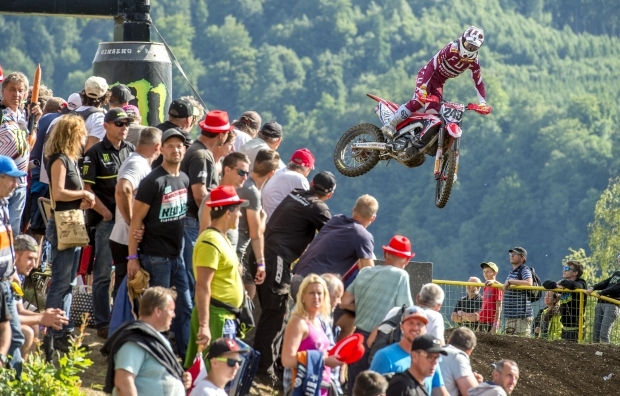 The weekend was already off to a positive start for Gajser with taking a holeshot and a second-place finish in yesterday’s qualifying race.… read more. Beaton made his debut today for HRC on the CRF250RW in Loket and had a strong finish in his first MX2 race inside the top 20. After a poor start, Beaton found himself in 26th place in the first lap. The Aussie wasn’t deterred by this though and fought his… read more. As the rain held off today in Loket, Tim Gajser showed an impressive return to form today on his CRF450RW as he took the holeshot and second overall in qualifying. The hard work Gajser put in during the summer break paid off today as he glided round the clay based… read more. 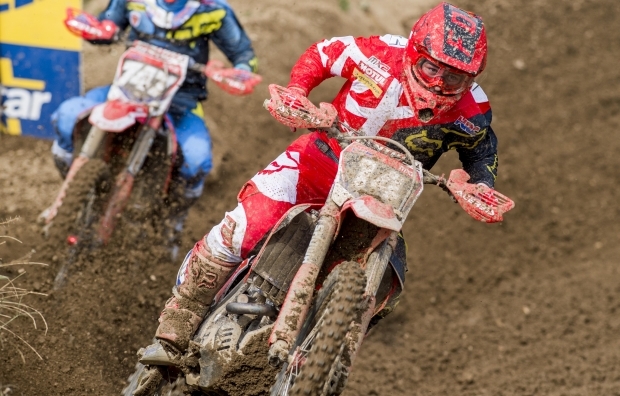 As the FIM world motocross championship heads into Round 13 in Loket this weekend, Cervellin is joined in MX2 by EMX250 rider and fellow Honda Racing family member; Jed Beaton. Jed Beaton joins the HRC MX2 team for three rounds this year in-between his championship races in the EMX250 series.… read more. 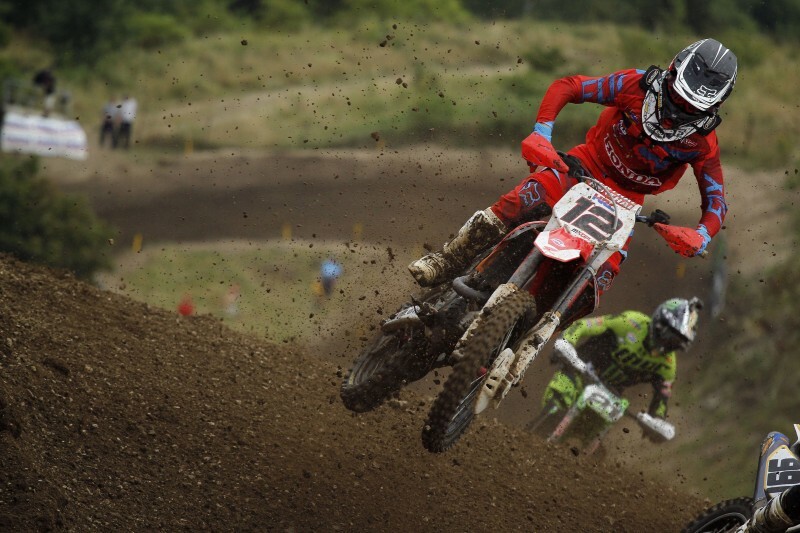 After a short summer break, team HRC MXGP returns to action this weekend in Loket for the MXGP of Czech Republic. Last year Gajser had an epic battle here with Nagal where the pair fought tooth and nail for the overall. 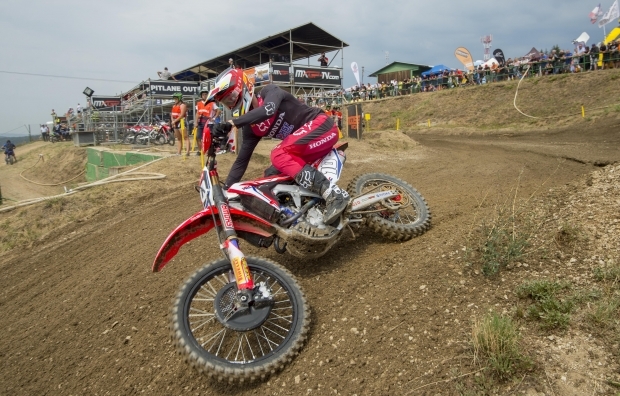 It was only a small mistake that cost Gajser… read more. 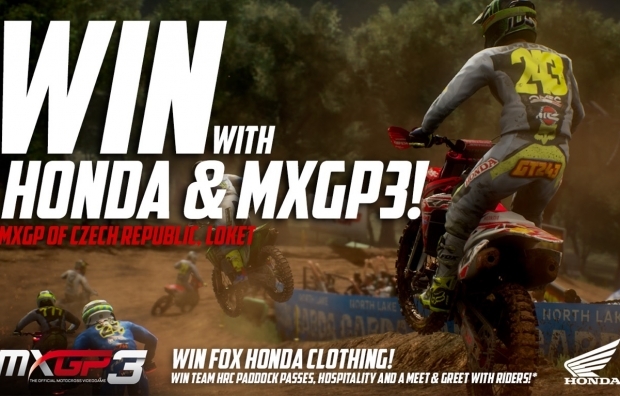 In the lead up to the MXGP of Czech Republic, held at Loket on 22-23 July, Honda and MXGP fans will be able to bag themselves some Honda Fox merchandise simply by demonstrating their gaming skills on the new MXGP3 – The Official Motocross Videogame. On top of that, if… read more. The MXGP of the Czech Republic turned out to be a tough affair for Team HRC’s Evgeny Bobryshev and Gautier Paulin, and although there were glimmers of promise and performance, the results didn’t come. 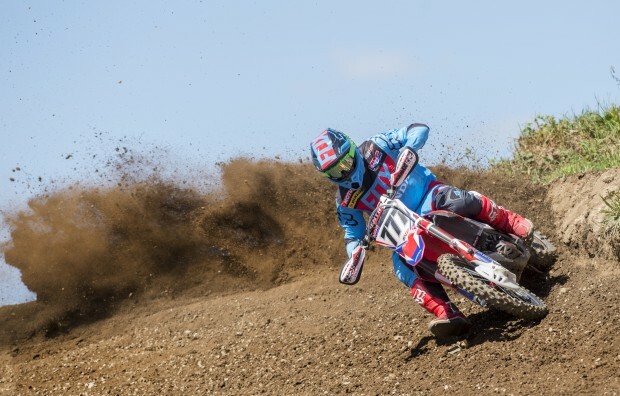 In the morning’s warm-up, Paulin came out fighting and was immediately fastest, and he translated this… read more. 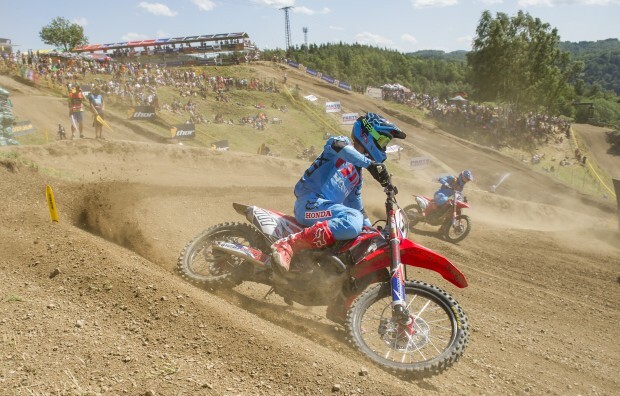 Qualifying for the MXGP of Czech Republic made for a challenging return to action for the Team HRC duo of Evgeny Bobryshev and Gautier Paulin, riding the Honda CRF450RW. The changeable conditions today didn’t help, with the practice sessions being run in the dry but rain falling before the qualifying… read more. 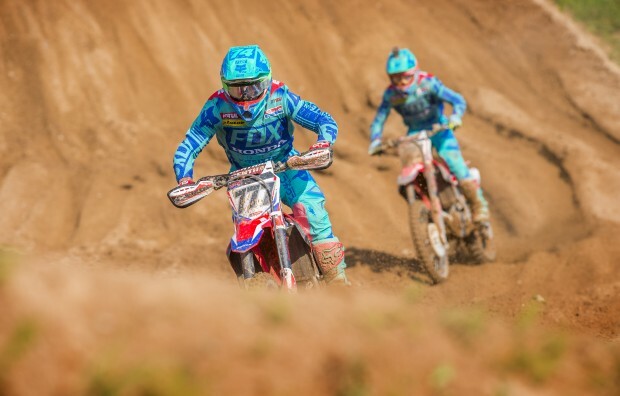 Evgeny Bobryshev and Gautier Paulin will return to MXGP action this weekend at Loket for the MXGP of Czech Republic; round 13 and the first after the series’ summer break. Honda’s recent run of form has been impressively strong with four double-podiums from the last four Grands Prix, giving the… read more. 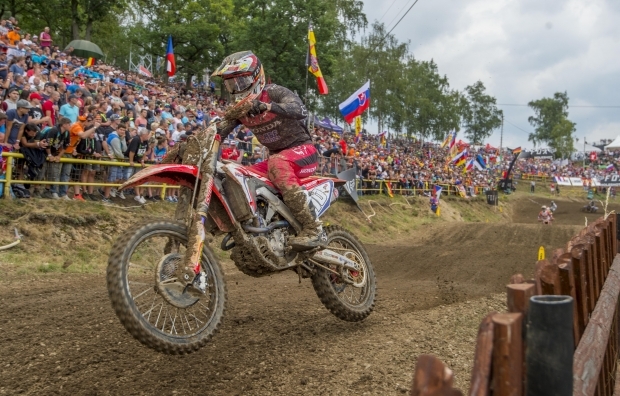 Team HRC’s Evgeny Bobryshev overcame his fear of the Loket track to take two second places and second position overall, and his second podium of the season on the #777 Honda CRF450RW. His weekend was one of consistent pace: he took the holeshot in race one and set the fastest… read more. 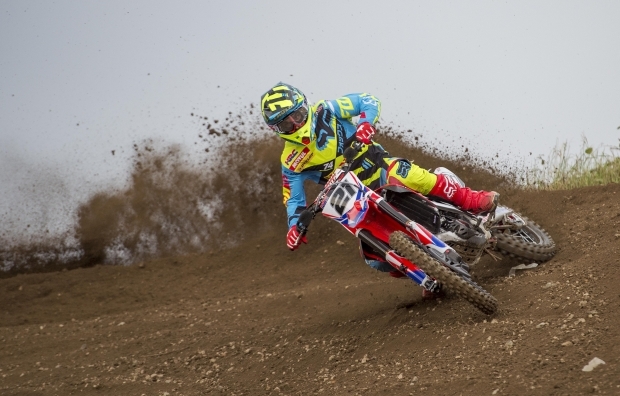 Gautier Paulin took second overall in today’s qualifying race for the MXGP of Czech Republic, converting the result from a good start that immediately saw the Frenchman into third on the works CRF450RW. Emerging from the messy first corner scrapes unscathed, Gautier quickly set about chasing down Romain Febvre. Making… read more. 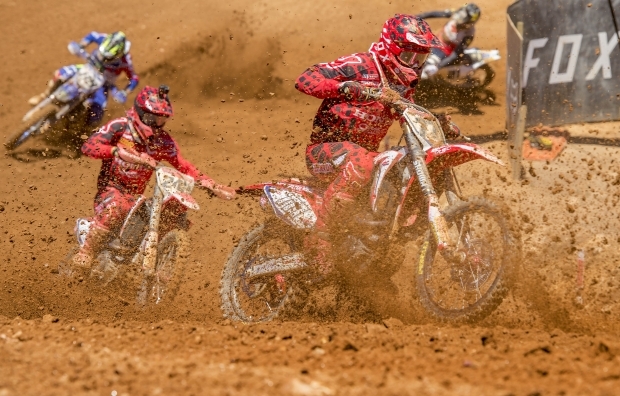 This weekend the MXGP World championship will head to the Czech Republic for round thirteen, where Team HRC have their sights set on more podium finishes. It will also signal the start of the end of the European leg of the season, as the first of two sets of back-to-back… read more. After the promise of yesterday when a dominant performance from Max Nagl saw him take a runaway victory in the qualifying race, Team HRC was left wanting today at the MXGP of Czech Republic in Loket. Starting from pole position, Max crossed the line in the first race in fourth… read more. A super start saw Max Nagl head the field into the first corner in today’s qualifying race for the MXGP of Czech Republic, after which he never looked back. 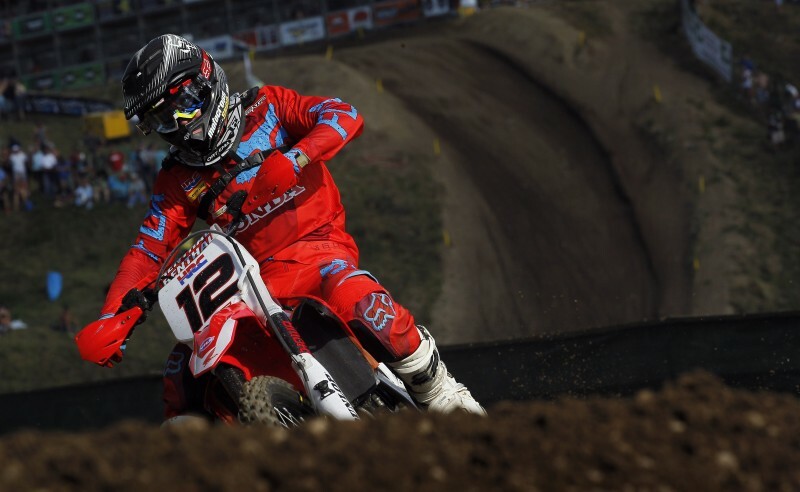 The on-form Nagl muscled his way to front from the start and then proceeded to set a string of fastest laps… read more. 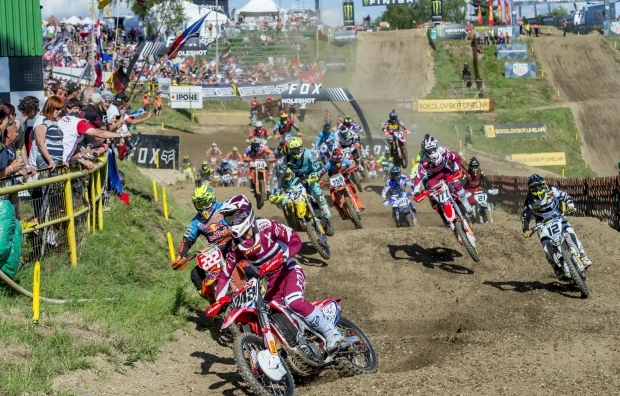 The Czech Republic plays host to round 14 of the MXGP series on 26-27 July, which is held once again at the Loket track in the west of the country, near the German border. The championship heads into the final furlong as Loket represents the start of the first of… read more.